The purpose of this paper is to illustrate the use of design space analysis for structuring the state of the art in a selected domain. 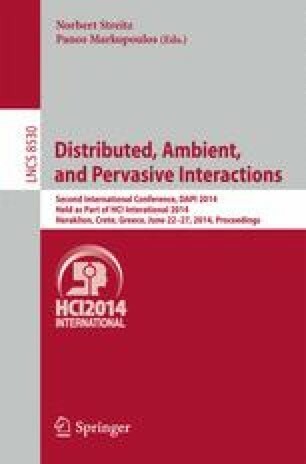 The resulting design space was created based on a literature review and is an analytical tool that can help interaction designers identify the goals, characteristics, challenges, enabling technologies, and quality attributes that are relevant to the design and development of ubiquitous computing systems. This paper describes the procedure of selecting the design space categories, provides examples of using the design space, and discusses the limitations and perspective.